But new research suggests that there could be too much of a "good" thing. Very high blood levels of HDL cholesterol may actually be bad for you. The research linked it to a higher risk for heart attack, and even death, among patients who already had heart problems or who faced a higher risk of developing heart disease. The findings are based on a roughly four-year tracking of cholesterol levels and heart disease among nearly 6,000 men and women. "Historically, HDL cholesterol, or 'good' cholesterol, is thought to be protective at high levels for cardiovascular disease and death," said study lead author Dr. Marc Allard-Ratick, who's with Emory University School of Medicine in Atlanta. "However, our study demonstrates that this may not be the case and, in fact, higher levels may be harmful." The study was done as part of the Emory Cardiovascular Biobank. On average, the participants were 63 years old and about one-third were women. Their HDL levels ranged from a low of less than 30 mg/dL to a high of greater than 60 mg/dL of blood. Over the course of the study, 13 percent of the patients had a heart attack or died from a cardiovascular cause. At the study's end, the researchers concluded that patients with HDL levels in the middle-range of the spectrum -- meaning between 41 to 60 mg/dL of blood -- fared the best, having the lowest risk for heart attack or death from heart disease. In contrast, those with HDL readings below 41 or above 60 faced a markedly increased risk for both health outcomes, demonstrating what the researchers called a "U-shaped" risk pattern. 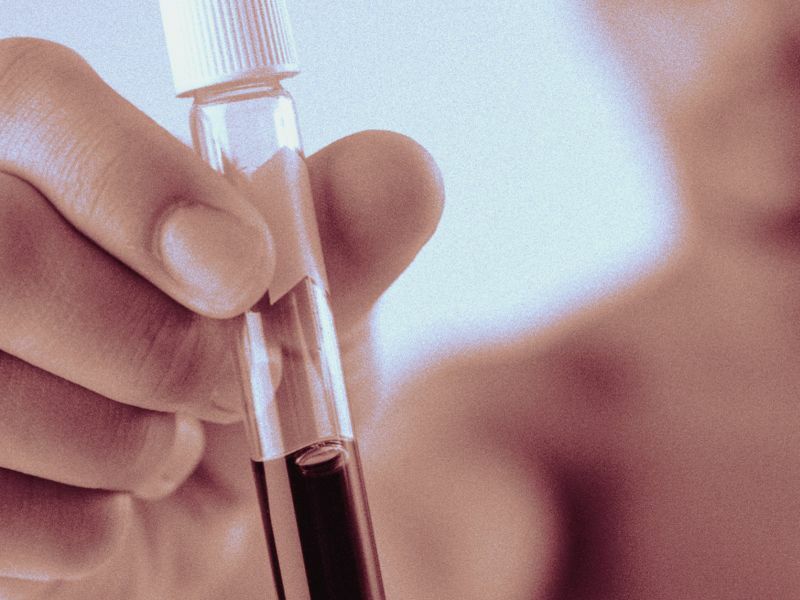 Specifically, patients with HDL levels exceeding 60 were found to have a 50 percent greater risk of heart disease death or heart attack, compared with those in the middle-range, the investigators reported. The findings held up even after accounting for a patient's history of diabetes, smoking, drinking and LDL levels. Race and gender also didn't appear to affect the findings. Dr. Gregg Fonarow is director of the Ahmanson-UCLA Cardiomyopathy Center and co-director of the UCLA Preventative Cardiology Program in Los Angeles. He said that "research from UCLA established more than two decades ago that HDL cholesterol could -- in certain individuals (including those with very high levels of HDL) and in certain circumstances -- be dysfunctional and pro-inflammatory," and contribute to narrowing of the arteries. "In others words, the so-called 'good' cholesterol in terms of cardiovascular risk could go 'bad' and be associated with excess risk," added Fonarow, who was not part of the team behind the new study. Allard-Ratick acknowledged that other studies have revealed a similar HDL problem among people who do not otherwise face a high risk for heart disease. But he said the new study is the first to uncover the same concern among people who are already at high-risk for cardiovascular complications, even if "the mechanism behind this finding remains unclear." And, he said, one "surprising aspect of the study was that this association between high levels of HDL and increased risk of death or cardiovascular disease was seen more commonly in women compared to men." As to what might constitute a dangerous HDL threshold, Allard-Ratick said that the risk association "likely occurs at (HDL) levels exceeding 80 mg/dL, and perhaps even higher in women." Fonarow said a number of prior studies have found that when compared to those with more moderately high HDL levels, people with "very high" HDL levels -- meaning a threshold of 90 mg/dL or more -- appear to face a greater risk for heart disease. So what should concerned patients do? Allard-Ratick said that "as the cause of this finding remains unclear, the appropriate management is not known at this time. Patients with very high HDL cholesterol should continue to address other modifiable risk factors -- such as high blood pressure, smoking and obesity -- to reduce cardiovascular disease." The findings were presented Saturday at the European Society of Cardiology meeting, in Munich, Germany. Research presented at meetings should be considered preliminary until it has been published in a peer-reviewed medical journal.